As we age, our skin loses its elasticity and firmness. BOTOX® Cosmetic is a purified protein produced by the Clostridium Botulinum bacterium, which reduces the activity of the muscles in which it is injected. Once the affected muscle is relaxed, its overlying skin is no longer being stressed by muscle motions. The treated area looks much smoother and younger. Therefore, BOTOX® Cosmetic is a simple, nonsurgical treatment that has been used for decades to temporarily smooth moderate to severe facial wrinkles. One 10-minute treatment—a few tiny injections—and within days there's a noticeable improvement in facial wrinkles. Call our office to schedule your complementary consultation with Dr. Yagudin to find out if BOTOX® Cosmetic is right for you. 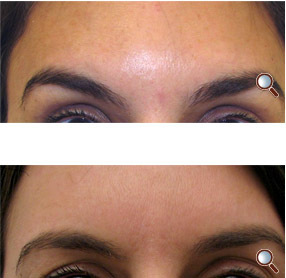 Commonly treated areas of the face: Forehead, Between Eyebrows (Glabella region), and Outer Sides of the Eyes (Crow's feet). Depressed corners of the mouth, "smokers' lines"
Dr. Yagudin often combines different modalities such as Botox, Dermal Fillers, and Laser Technology to address a wide variety of aesthetic problems. 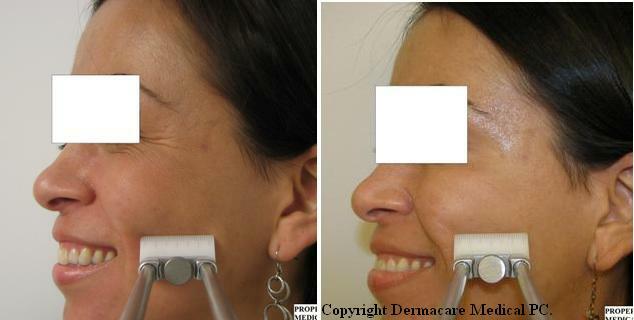 This multi-faceted approach enables him and his patients to achieve better results of skin rejuvenation. 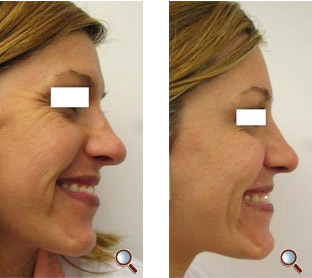 For information on other procedures performed by Dr. Yagudin please visit our main web site by clicking here. Every client is unique and needs a doctor's evaluation before deciding what areas can be treated, the dose of Botox to be used, and subsequently the cost of treatment. Please call our office to schedule your free initial consultation with Dr. Yagudin. 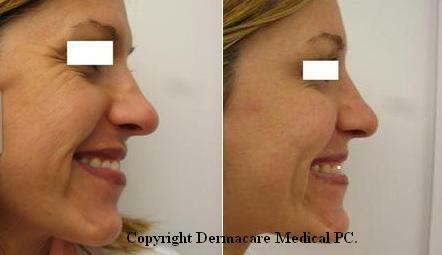 Why choose Dr. Yagudin for my Botox Cosmetic® treatment? Dr. Yagudin is double board certified by The American Board of Laser Surgery and American Board of Internal Medicine. He has received his Botox training at several Allergan-Certified National Training Centers. As a physician who has been treating thousands of patients with Botox® Cosmetic, Dr. Yagudin is a Platinum Plus Member of Botox® Cosmetic Physicians' Network.